Investing at any stage of life involves some inherent risk. 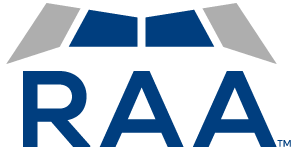 At RAA, we strive to help our clients understand their tolerance for risk and ways to address it effectively in a sustainable, long-term investment and retirement strategy. There are several factors that affect your comfort level with risk, and these should inform the composition of your portfolio and the investment decisions you make on a regular basis. There’s a reason we encourage young pilots to start saving for retirement as early in their careers as possible: the benefits of compound interest can provide exponential growth in your investment accounts. Longer time frames also tend to soften the impact of short-term market events and volatility. Theoretically, when you are younger, you can afford to take a little more risk for a little more potential reward in the long-term. That doesn’t mean it’s too late to start saving now. In fact, if you haven’t already, now is the best time to start! It does mean, however, that your advisor will likely recommend investment options with more predictable returns and income streams as you get older. While you can’t expect tremendous growth without added risk, this approach is still better than putting off saving entirely. Financial markets can be complex, and it’s almost impossible to gain personal knowledge across all asset classes and investment options if you’re not in the industry. Some people watch markets and pursue financial news as a hobby or spend years learning from the professionals who manage their portfolios. This is where a skilled advisor’s guidance is invaluable in helping you navigate the wide range of possibilities. Your risk tolerance has a profound effect on the types of investments that should be included in your portfolio. If you’re a professional investor, and that’s what you do for a living, you might speculate in global commodities markets, risky junk bonds, or emerging international companies. It goes without saying that these investors can afford the substantial losses that often go hand in hand with the potential outsized rewards offered by such vehicles. Most investors, however, don’t fall into the category of speculators. They are people trying to preserve and grow the capital they’ve already earned for specific purposes. In this case, shares in large U.S. companies and bond offerings from stable governments and municipalities are generally more appropriate. That doesn’t mean you can’t invest in higher-risk products, but you should limit your exposure only to the amount of money that you could lose without jeopardizing your retirement. The most important aspect of your financial plan is understanding what you need and specifically defining those goals. Are you saving to maintain your current lifestyle in retirement? Do you need steady income to help support children or grandchildren? Are you working to pay off debt or buy a new home? Simply put, if you don’t know where you’re going, you won’t know how to get there or even when you get there! Your tolerance for risk plays a key role in determining the best strategy to achieve those goals. We’ve discussed some general principles regarding risk tolerance, and how it affects your saving and investment strategies at different points in your earning years. It’s important to recognize that risk is a part of investing and you need to know your own capacity for accepting risk. This can go a long way in helping you, and your advisor, successfully craft a plan for investing and retirement. To learn more about your individual tolerance for risk, take a 25-question risk tolerance questionnaire and find out how you compare to other investors with a personalized risk tolerance score.